We specialise in selling Rene Lalique, Emile Galle, Daum and art nouveau and art deco glass by Schneider & Legras, D'Argental, Baccarat, Moser, Pallme Koenig, Harrach, Josephine & Fritz Heckert, L C Tiffany, Steinschonau, Loetz, Kralik, Riedel & Rindskopf and other great makers between 1875 and 1955. This website is our site featuring British Glass and Glass Jewellery. CLICK HERE to see Rene Lalique, Galle and Daum at www.ReneLaliqueGlass.com. CLICK HERE to see where you can find us at major antique and specialist shows we are doing in and around the UK. Week beginning 15th April 2019. Recently many new items have been added to both our other sites. There are nearly 400 pictured items for sale on this website and its partner sites www.ReneLaliqueGlass.com and www.MandDMoir.com. These are live sites, new items are added EVERY week, usually by late (UK time) on Monday. All our items are original, i.e. to the best of our knowledge made at the factory of the named maker on or close to the dates given. We do not sell any reproductions or fakes. Unless otherwise stated all our pieces are perfect, without visible chips, cracks or other defects. All our items are between 50 and 120 years old so there are usually wear marks and minor scratches. We are happy to provide any prospective buyers with further photos and detailed description reports if required. We are UK based, but we sell worldwide. We have been dealing in glass for over 15 years. You can buy items from us directly by E-mailing us [email protected] or phone or text us on: 07843 022591 (inside UK) or +447843 022591 (outside UK) - or by finding us at one of the major UK fairs and shows we do. CLICK HERE for the current list and dates. We always try to respond to serious enquiries within 48 hours, but sometimes incompatible email systems mean your email may not get through or our reply may get blocked by your spam filter. -if you email us and have not heard back within two days PLEASE phone or text us and we'll get right back to you. If you like our items please remember to put us on your favourites and please tell you friends about us! Worldwide we accept UK £(pound) cheques, Paypal, and bank transfers via IBAN. We can also take debit cards and major credit cards (MasterCard and Visa) via phone. Our goal is to ensure satisfied customers. If you are not content with any item we will refund your purchase price - provided you notify us within 7 days of receipt of the item; you just pay the two way postage. In the rare case where the item is not as described, we will also refund your 2-way shipping costs. If you are familiar with the art nouveau and art deco glass of Rene Lalique, Emile Galle, Daum, Schneider & Legras, D'Argental, Moser, Loetz, Harrach, Kralik, Riedel & Rindskopf and L C Tiffany just click on them, and you will be taken directly to fine pieces from the maker of your choice. If you'd like to know more about the makers first, please click Tales of the Great Glass Makers for potted histories and explanations. To read about and to see our extensive selection of Rene Lalique, Emile Galle and Daum please move across to our other website www.ReneLaliqueGlass.com. 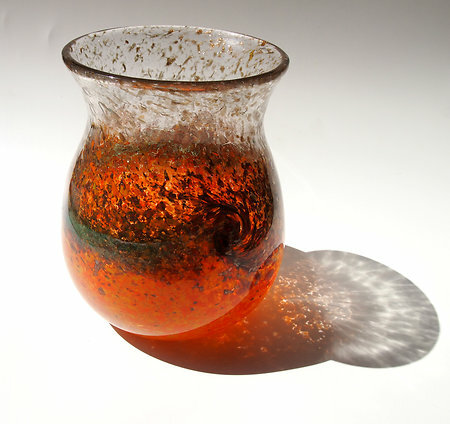 For other great Bohemian and French glassmakers please move to our other website www.MandDMoir.com. Finally, if you are looking for any Art Nouveau or Art Deco Glass, whether it's Lalique, Galle, Daum or any of the other major makers of these periods, please let us know. If you can't see what you want here, we may well be able to find it for you. If you have any original Art Nouveau or Art Deco Glass especially Lalique, Galle, or Daum in perfect condition that you wish to sell please do contact us - but please first check the kind of things we do sell. If what you want to sell is very different from the kind of things we have shown here or on our sister sites, we are much less likely to be interested.